How cool is that? The books are perfectly H-sized, and since the Pigeon was her very first read aloud, and her collection of autographed books began with The Pigeon, I thought she should have a set. 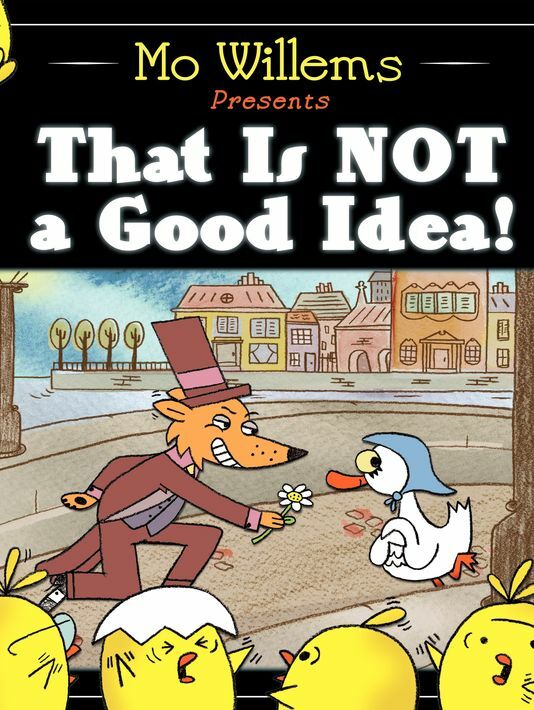 There was also last week’s release of the latest Willems adventure, That Is Not a Good Idea. 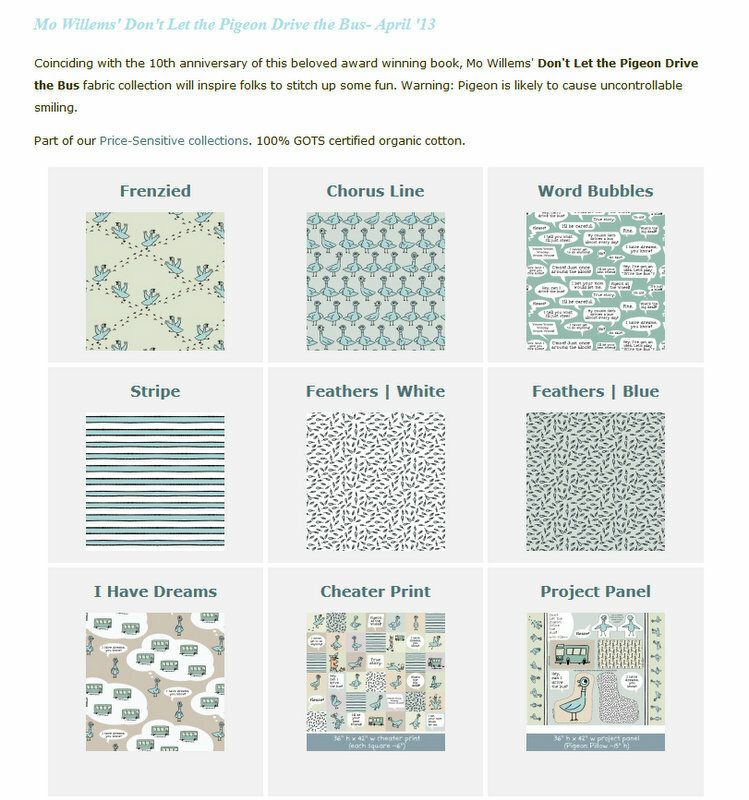 And really, the thing I am truly geeking out over this April is the release of Cloud9’s collection of Don’t Let the Pigeon Drive the Bus fabrics! I cannot believe this is really a thing! 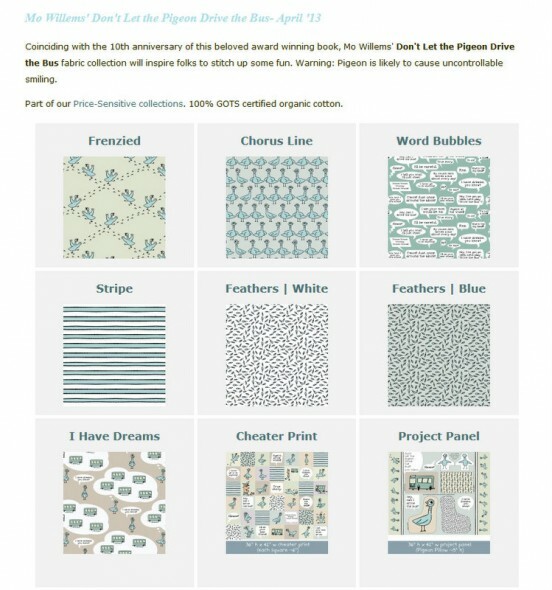 I have been stalking fabric sites all month anxiously awaiting the release of this fabric. 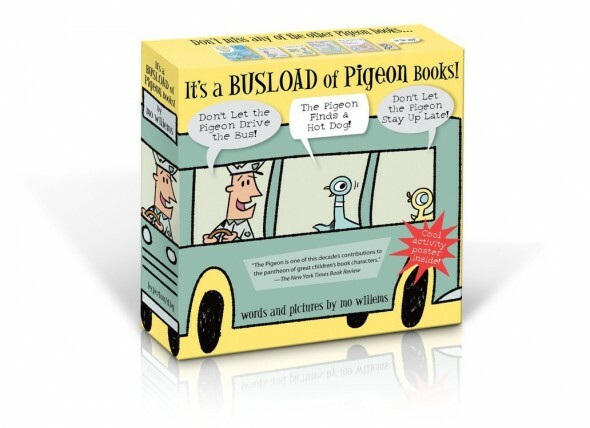 Since tomorrow is the end of April, I’m guessing it will go into May before I can order some. But when I can, look out…I have already warned Adam that my fabric budget will be blown on this collection. A Pigeon sundress for H? Another lift-the-flap quilt? A bag for me? All of the above. It’s the (second) most wonderful time of the year! Great post, Jackie, I’m happy to see that your enthusiasm is not waning at school.